The lite version of this WordPress plugin is free. 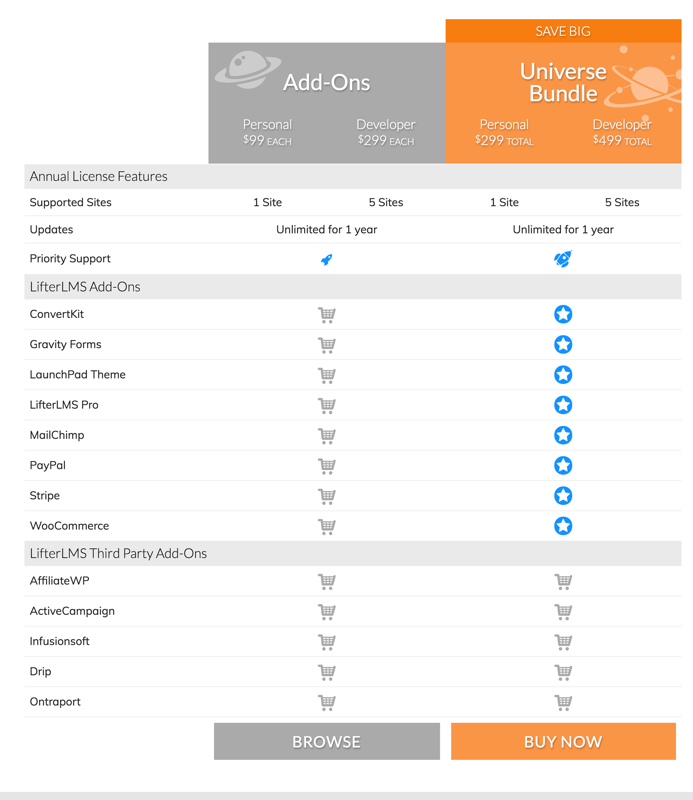 However, in order to accept payments you will need the Pro version Add-Ons bundle, which costs from $99-$499 based on the number of sites you’re licensing. They also offer to let you try the plugin and add-ons for $1 on your own personal demo site. Click the Button Below to try the plugin and add-ons for $1 on your own personal demo site. This is a WordPress plugin. That means you’ll need your own domain, hosting and a WordPress installation. Take note that SSL is required for secure checkout. Payments supported: PayPal and Stripe, plus WooCommerce are all supported if you’re using the Pro version of LifterLMS. One Time/Recurring Payments/Trial: Yes, this is possible, but it depends on which payment gateway you select. 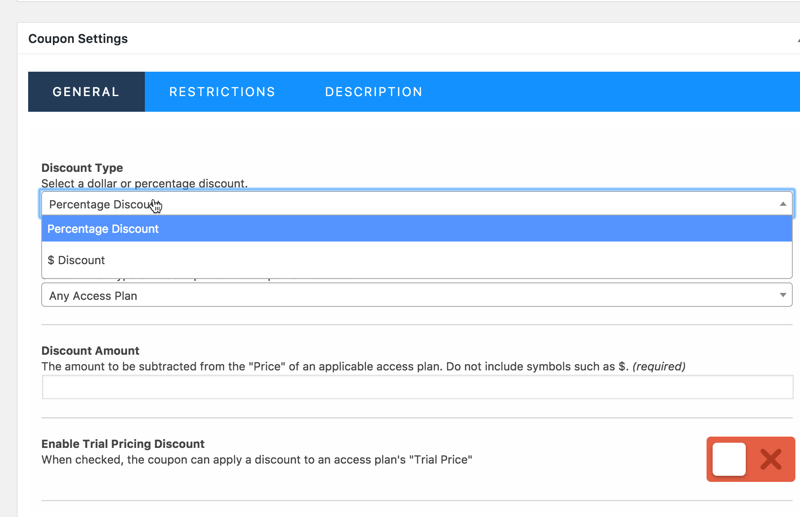 Coupon: Yes, you can offer coupons to your customers. Sales Funnel: No, upsells and downsells during the ordering process are not supported. Able to add buyers to an autoresponder? Yes. Autoresponder Support: ConvertKit and MailChimp are supported, provided you’re using the Pro version. LifterLMS also supports Drip, Active Campaign, Ontraport, and Infusionsoft if you use paid third-party add-ons. If you what to learn more about the different autoresponders check out the review post on email marketing software – click here. You can create an affiliate program using WPAffiliate or iDevAffiliate, both of which are third-party paid add-ons. 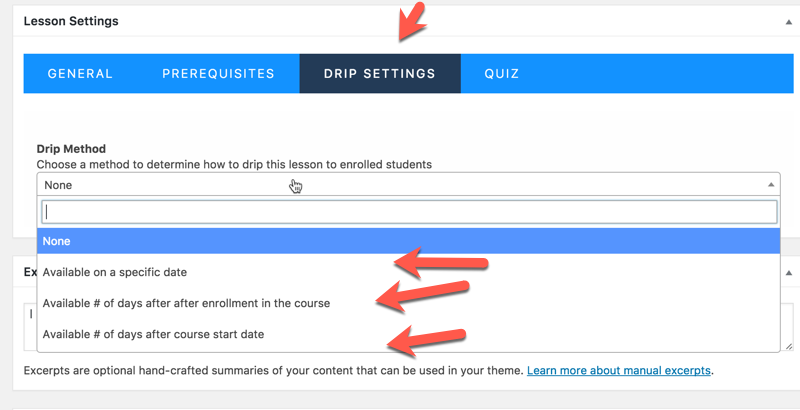 Drip-feed content: Yes, you can schedule content to go out to your members over time. File protection: This is accomplished with a user login. Content display: You can offer content that’s viewable to the public, viewable with a free registration, or only viewable with paid access. 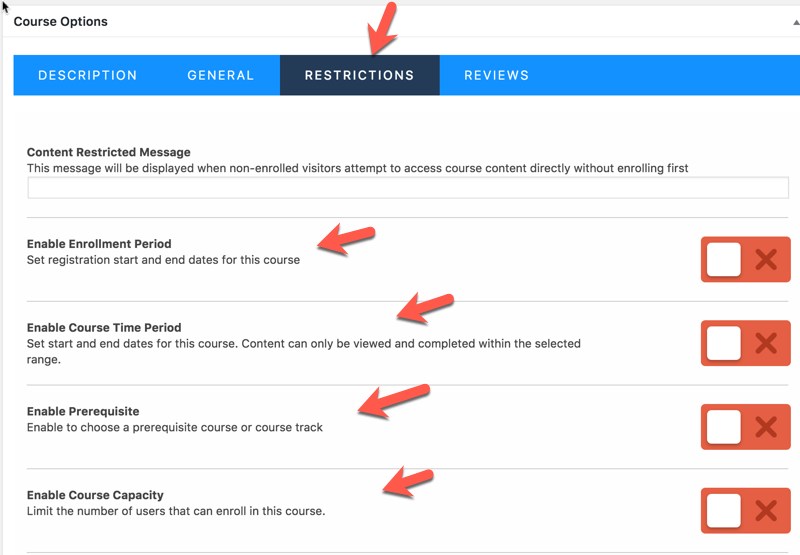 Content teaser: Yes, you can do this by offering a free section in the course outline. 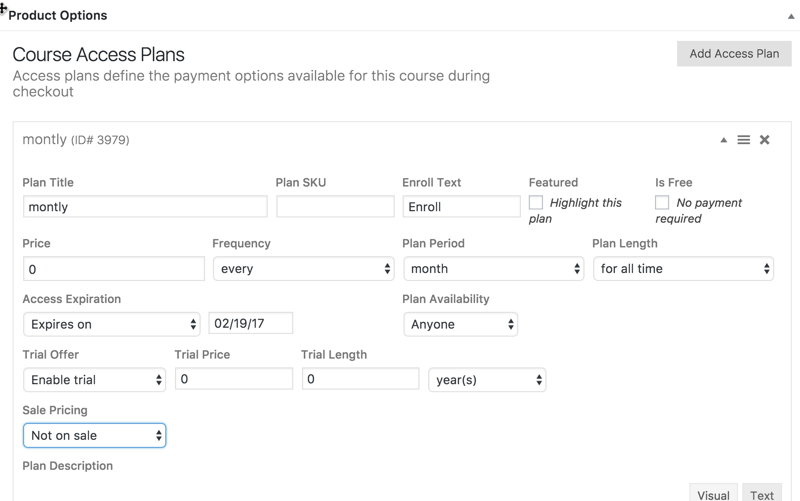 You can set up unlimited courses. Customer self-service: No, customers can’t directly cancel their billing from their accounts. Admin can manually add/edit/manage members? Yes, you can do this from the plugins dashboard. Auto upgrade membership? Yes. However, this feature depends on which payment gateway you select. Yes, you can use a custom IPN to integrate with external or other scripts. This feature is available with the supported payment gateways and autoresponders. Reporting: Yes, LifterLMS provides data for you to track performance. We found it fairly easy to use, and to navigate around the plugin’s dashboard. 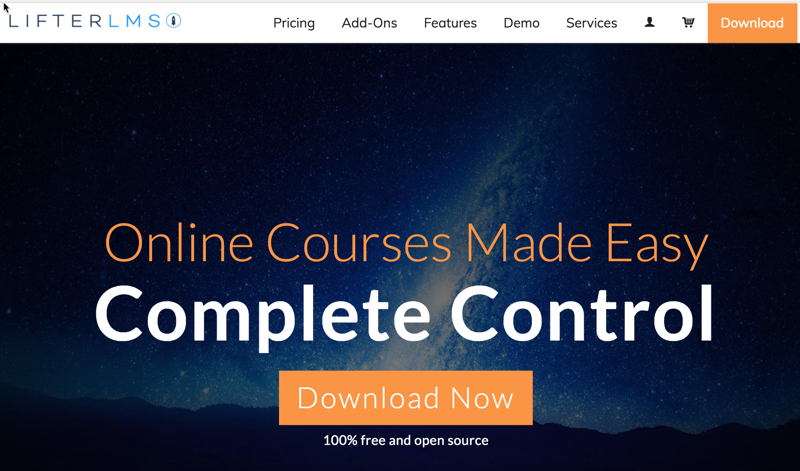 LifterLMS is designed for people to create courses, so it excels with this feature. 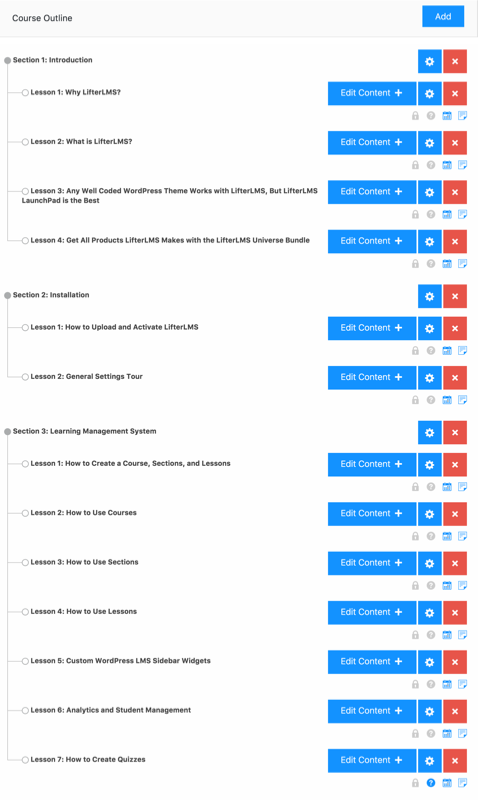 You can create a course and offer lessons with a nice outline. Another unique feature is its gamification function. The default engagement types that come with LifterLMS are Achievement, Certificate and Email. 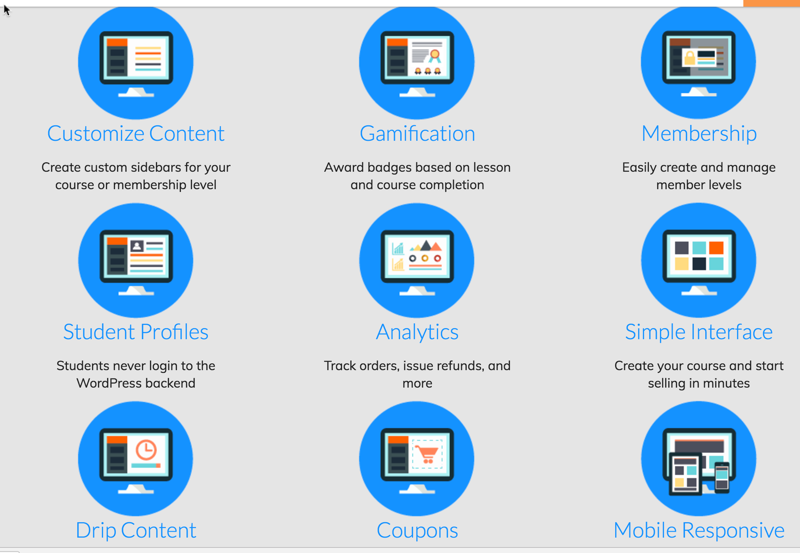 Using this gamification feature helps engage your audience and keeps them as members. Support is available to you via both a helpdesk and live chat. 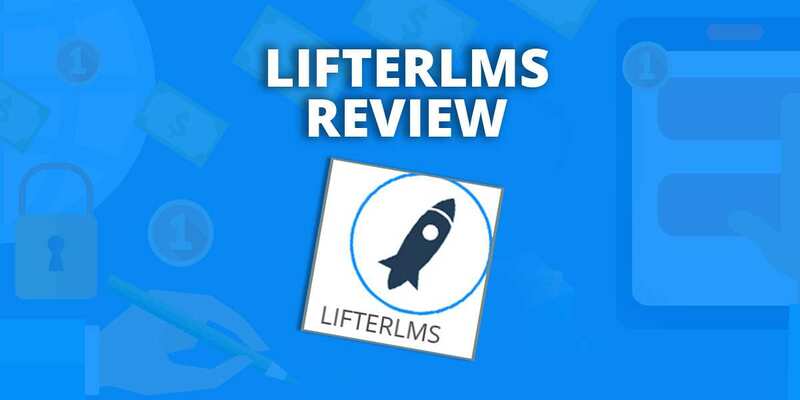 If you are looking for a membership solution that is designed as an LMS (Learning Management System), then LifterLMS is a great choice. That’s because it’s a feature-rich, user-friendly WordPress plugin outputs nice-looking courses.